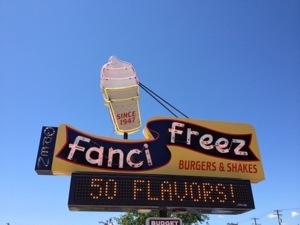 If your travels ever take you to Boise, Idaho you must have a shake or ice cream treat from Fanci Freez drive in. 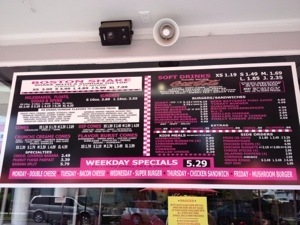 They offer over 50 flavor of shakes and sundaes. They have a crazy thing called a Boston Shake which is a shake with a sundae on top. Now, I grew up in Boston, and I have never seen this before…. This place is a gem, a wonderful throwback to simpler times. Posted in Childhood memories, Ice Cream, travels. Bookmark the permalink. 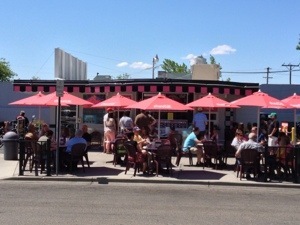 Boise has many great drive-ins.